Mimi's is a really nice couple of bars -- a more neighborhoody joint with a pool table and video games downstairs and a dining room upstairs -- with good cocktails and excellent tapas. 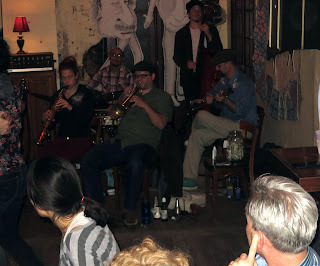 But I will miss the old upstairs -- the one still there at the time of this visit, but subsequently relinquished after several years of legal battles with the neighbors. 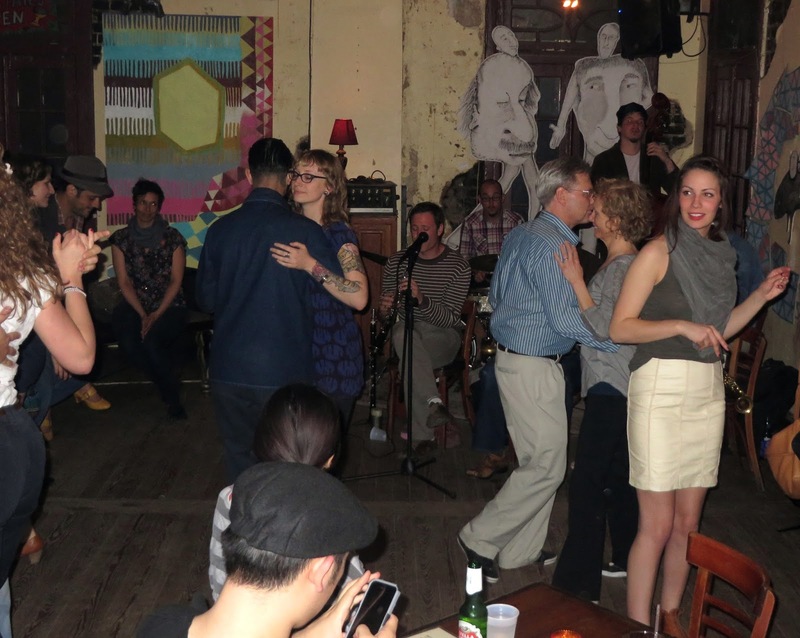 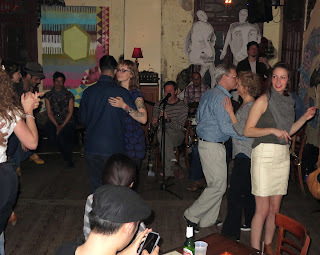 On this night we came upstairs and stepped into a cheery scene of swing dancing, to the beats of a band playing dixieland and roots music. 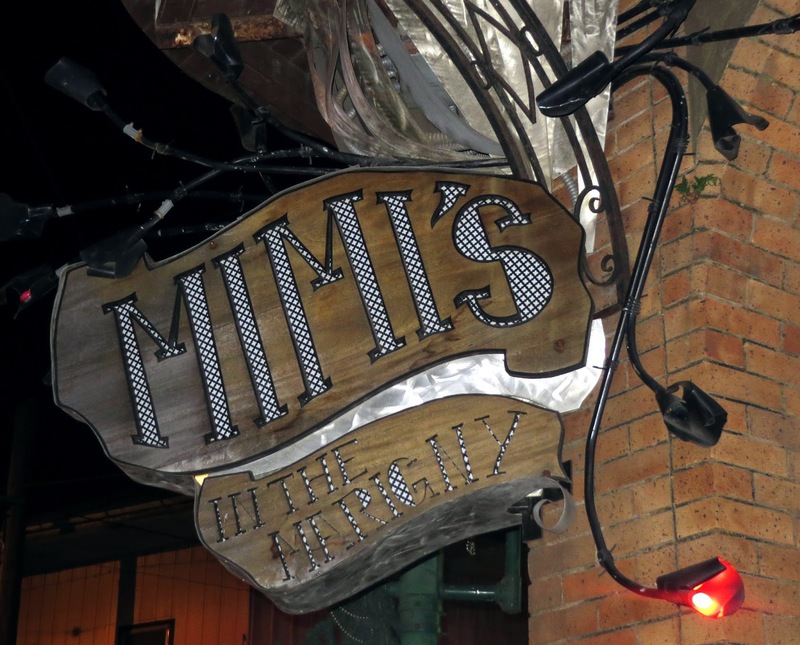 But since 2012, the city has been clamping down on establishments, and in the summer of 2014 Mimi Dykes and her lawyers threw in the towel and converted the upstairs to a dining room, with music events limited to nine a year.